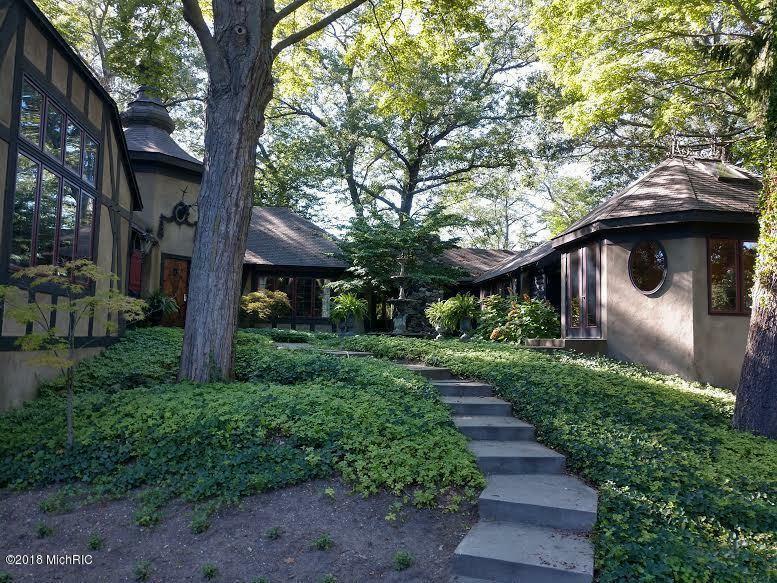 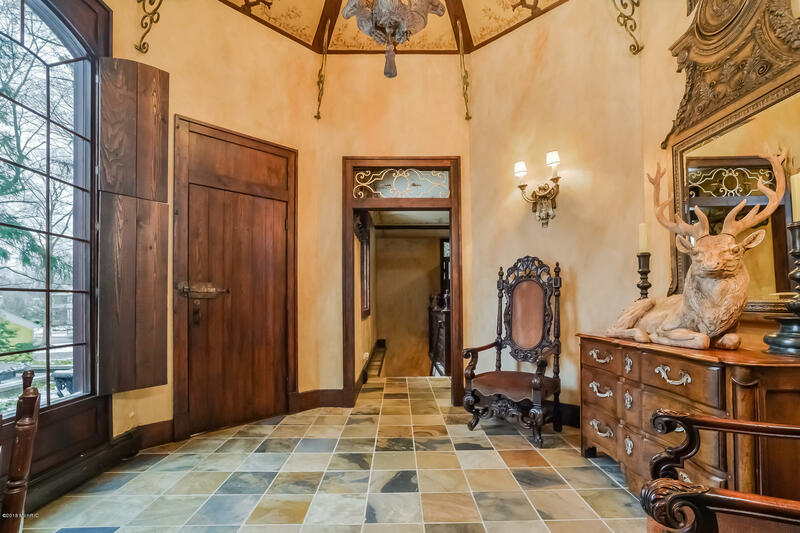 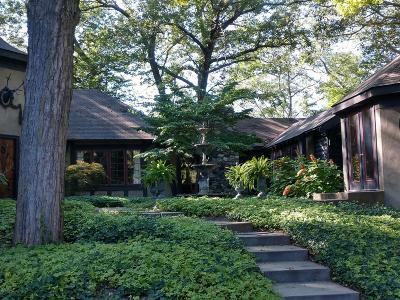 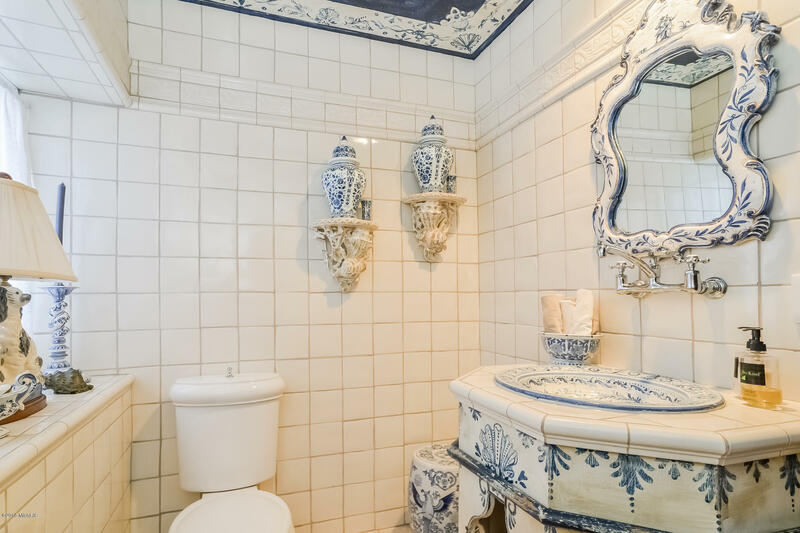 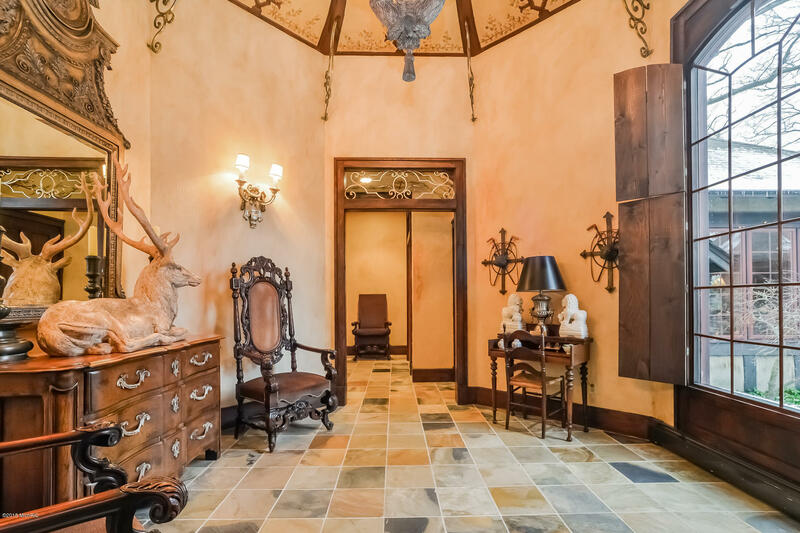 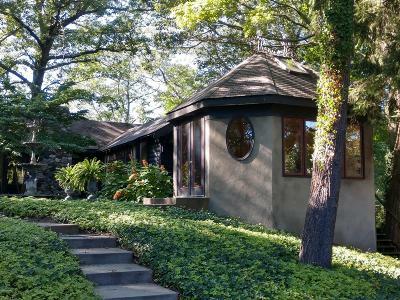 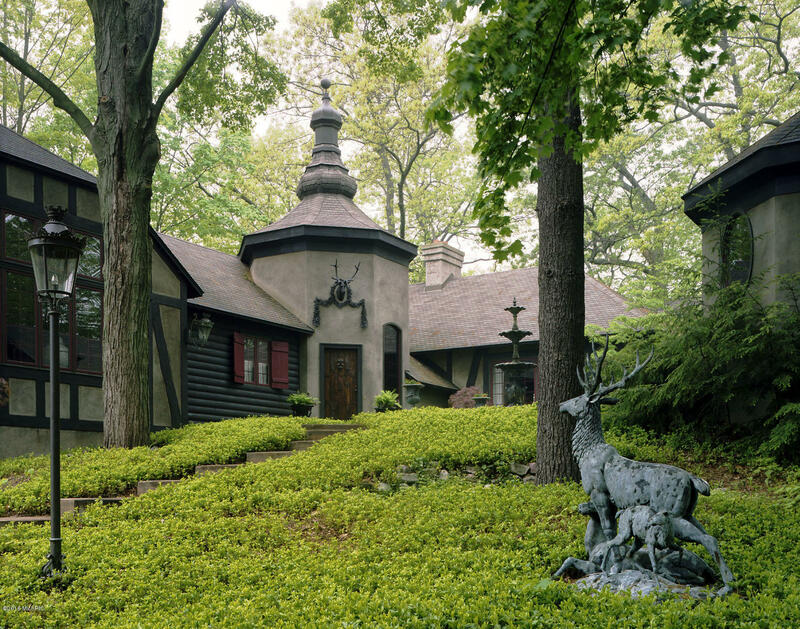 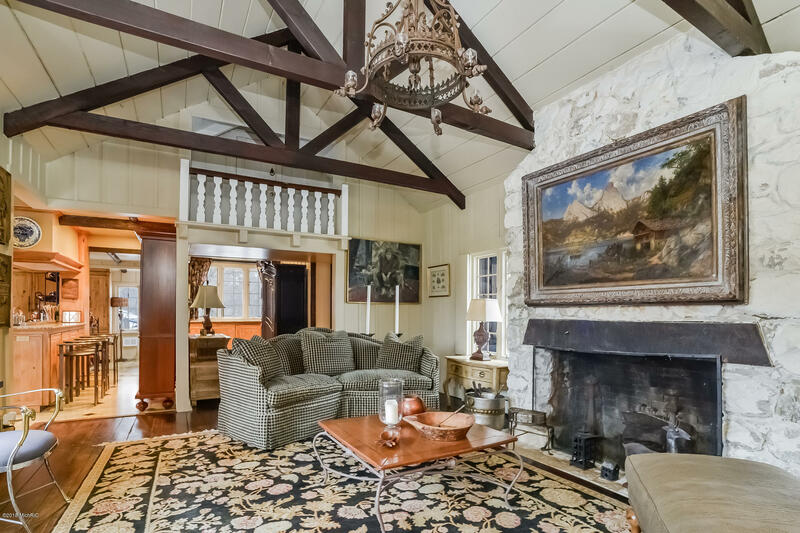 Please call Bill Rowe at 269-491-8572 for more information or to arrange a private tour.The incomparable Stag's Leap winner of the Heritage Preservation Award and former home of the internationally recognized designer Dale Metternich. 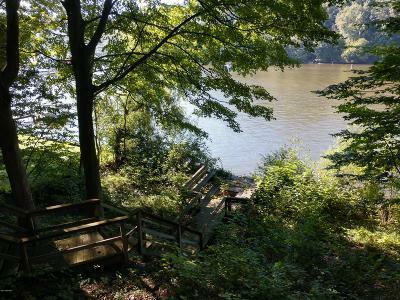 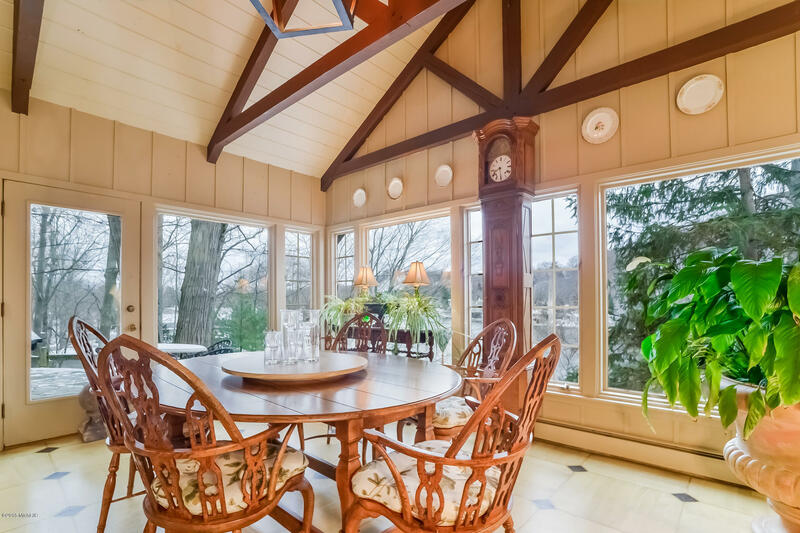 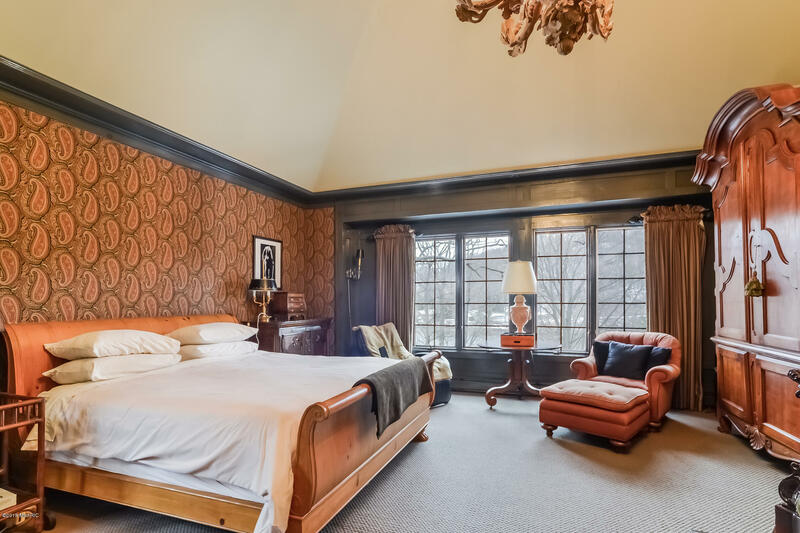 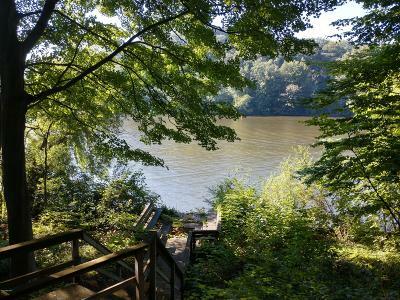 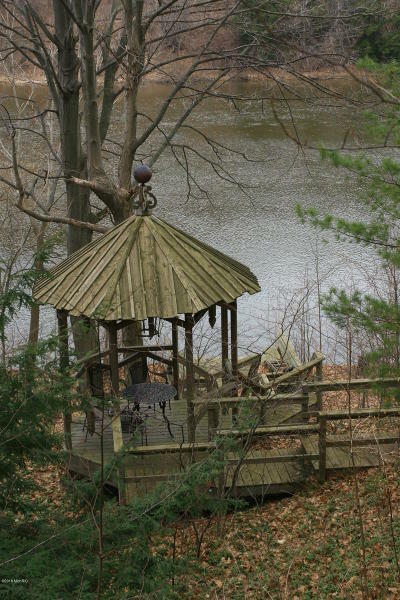 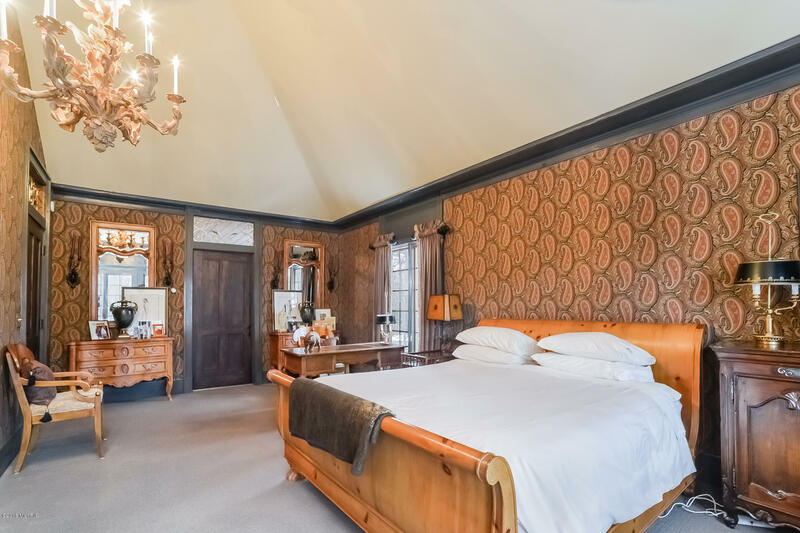 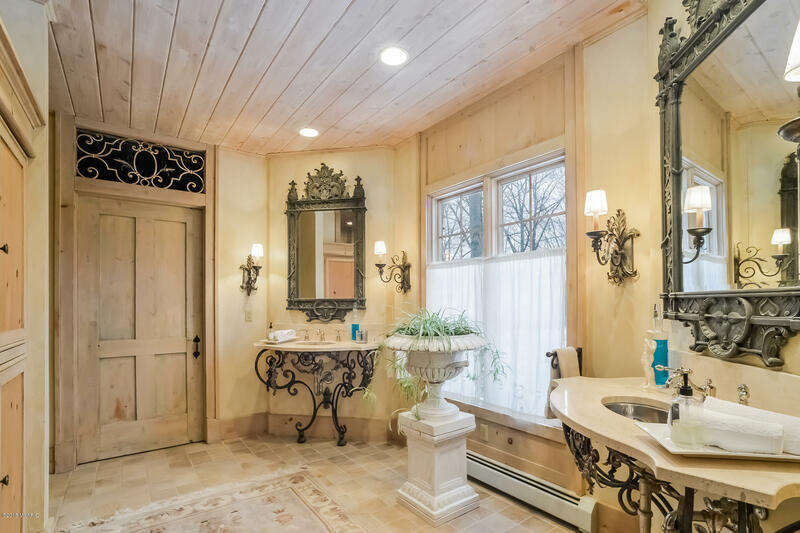 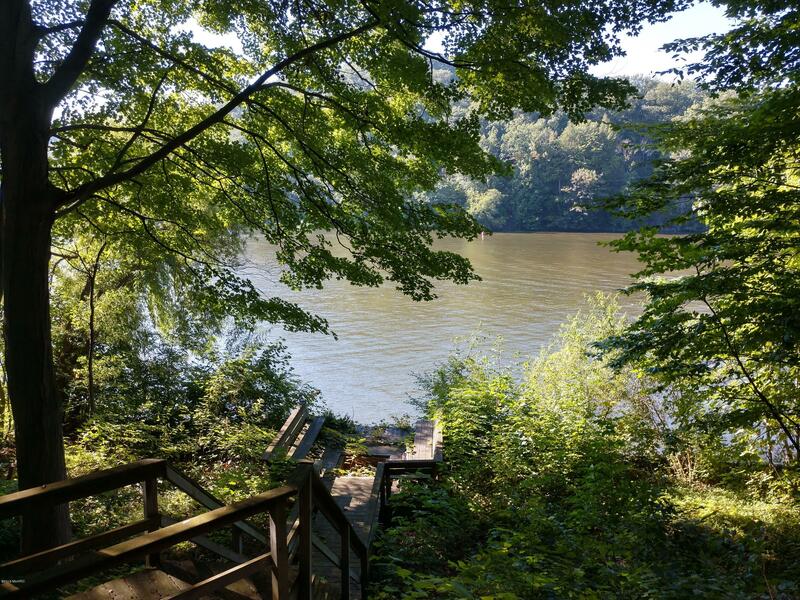 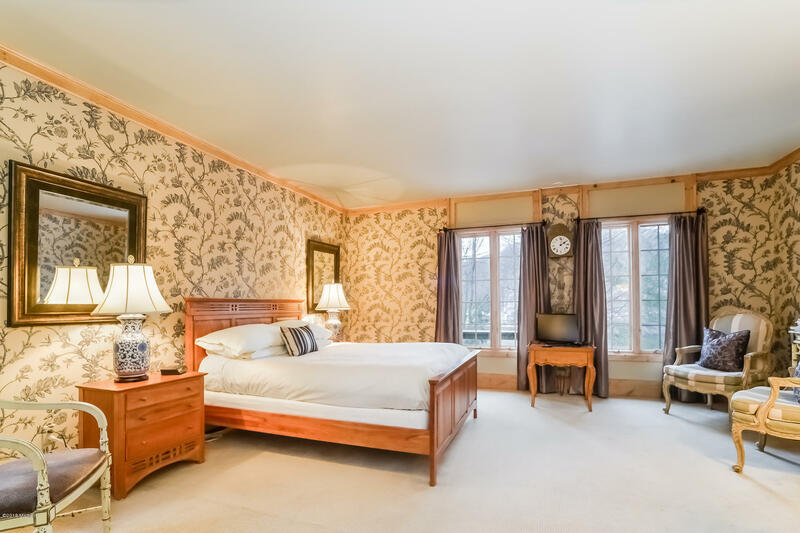 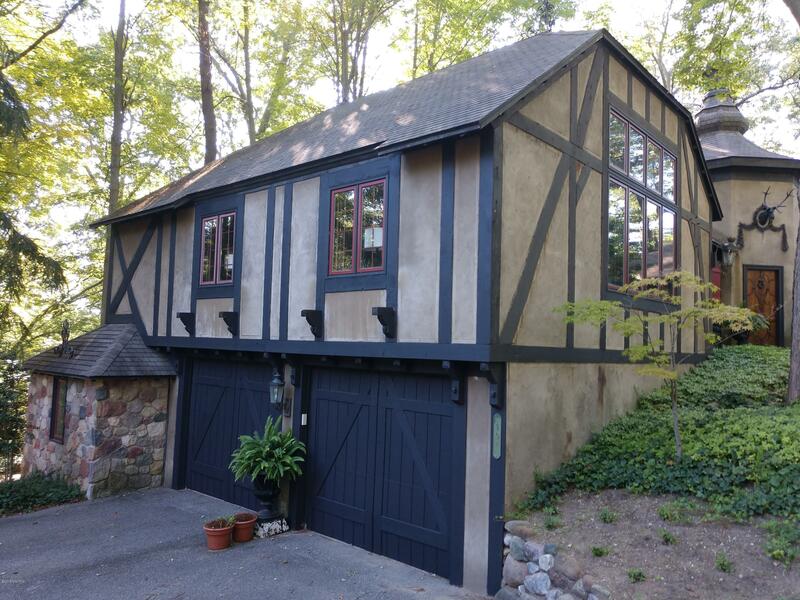 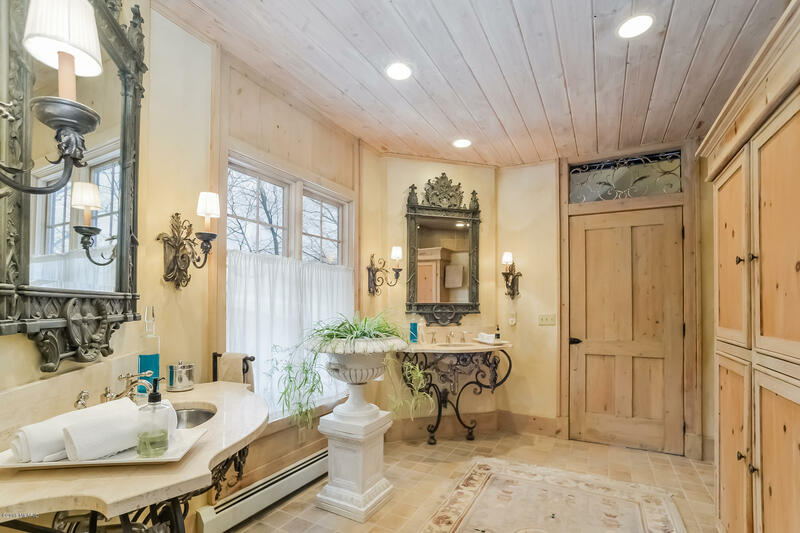 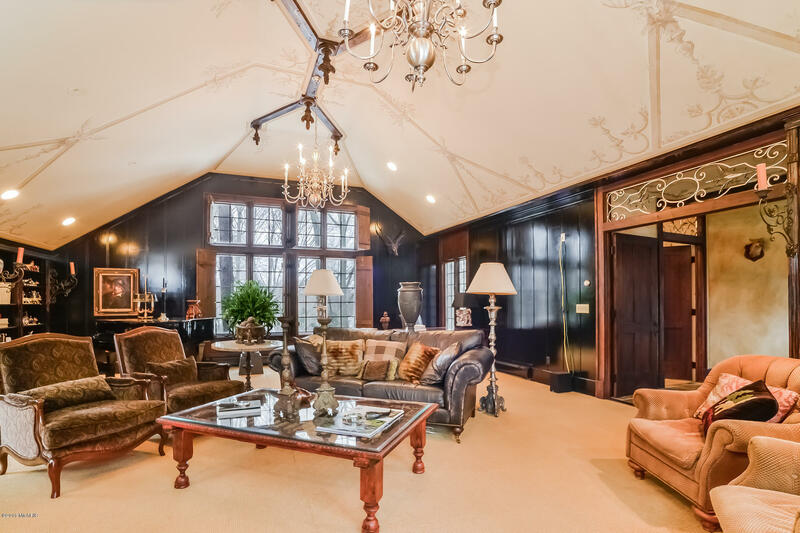 This is truly a one-of-a-kind estate perched on the banks of the Kalamazoo River with easy access to Lake Michigan and an easy walk to downtown Saugatuck. 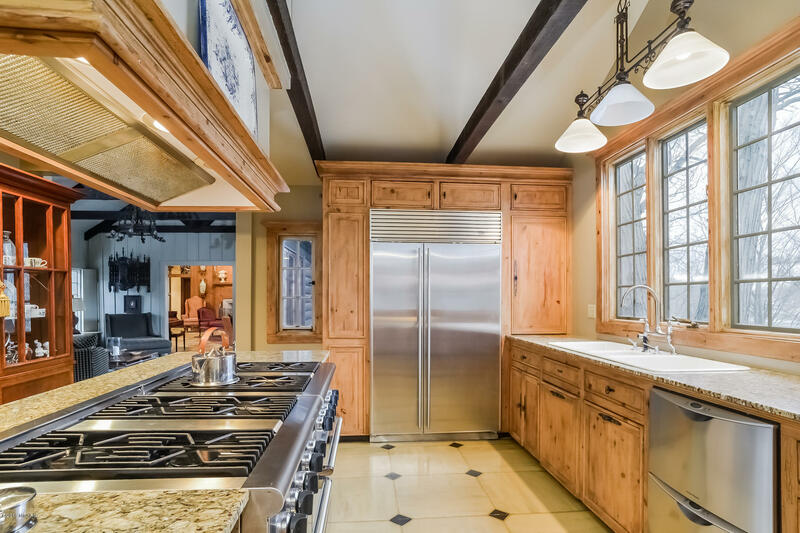 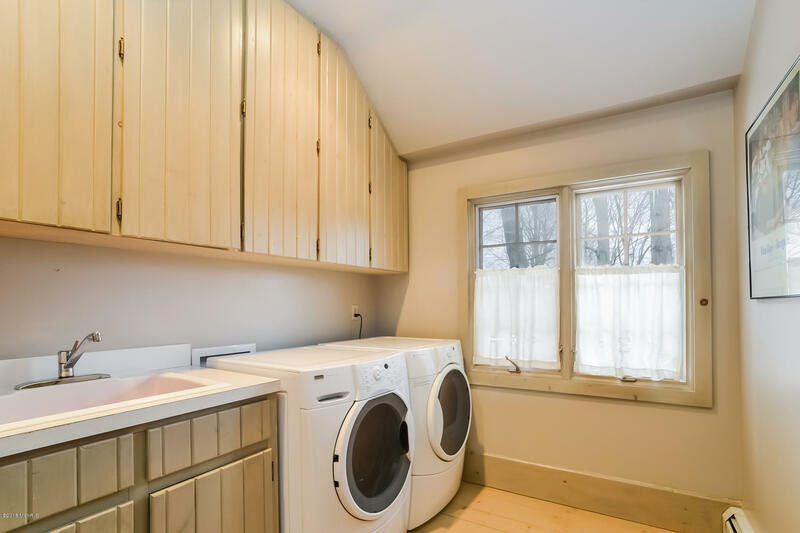 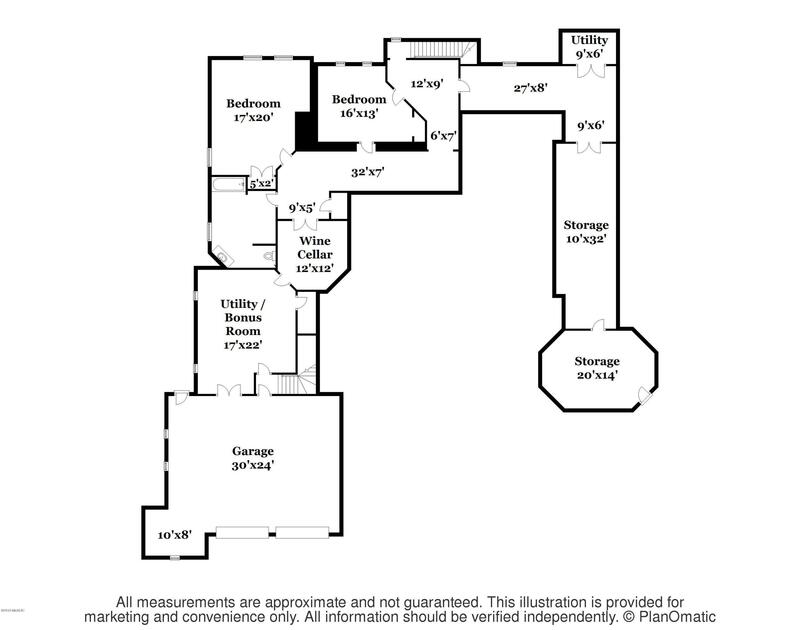 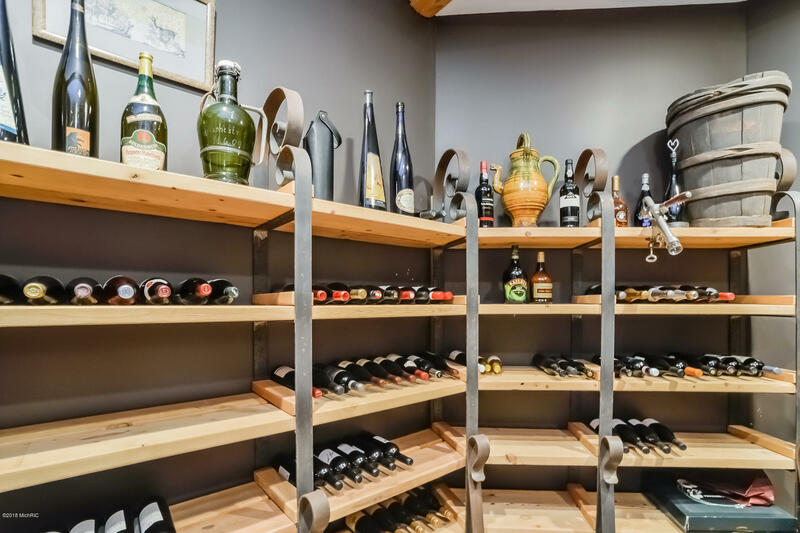 Features include; 3 large & well-appointed bedrooms and 3 baths with room for many more of both, a chefs kitchen with twin Thermador ranges, Granite counters, and a huge Sub-Zero side-by-side. 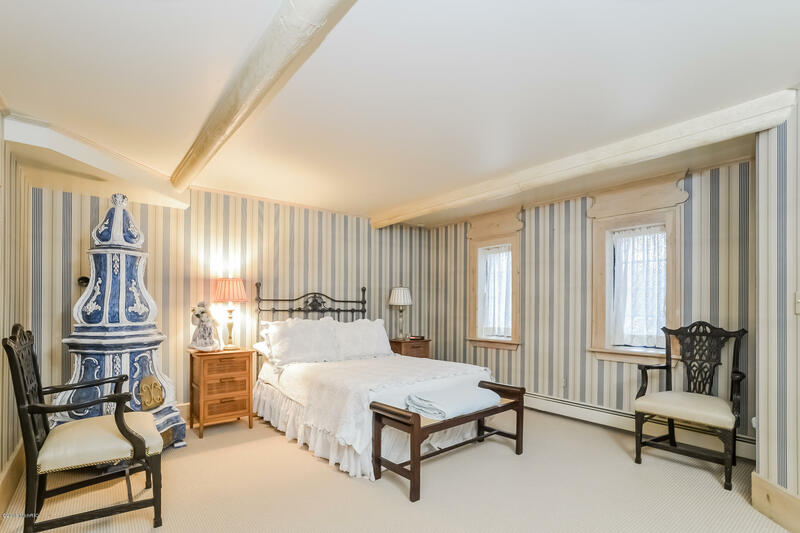 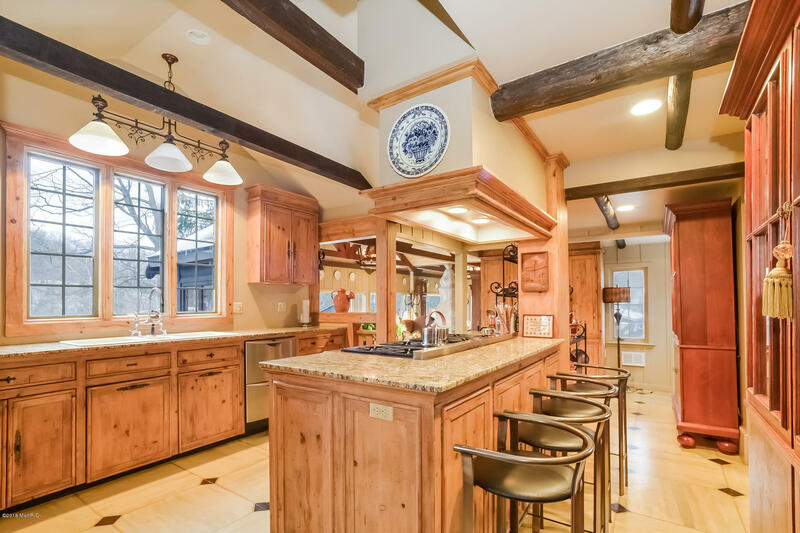 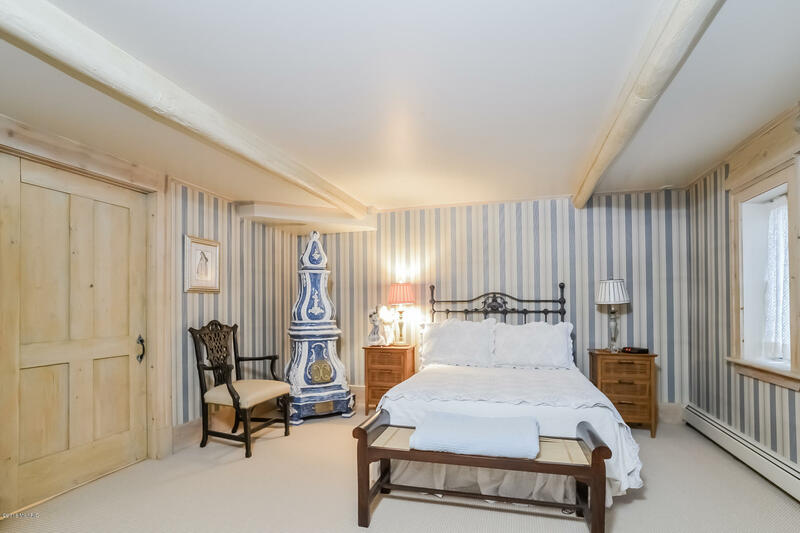 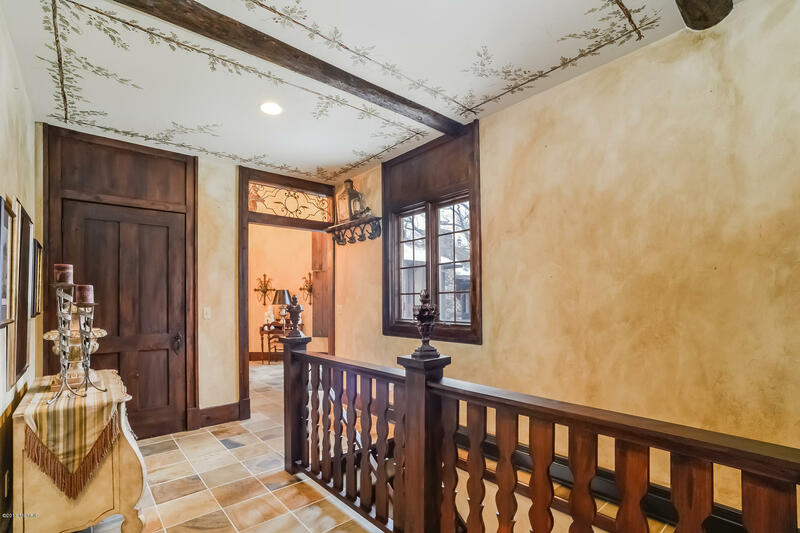 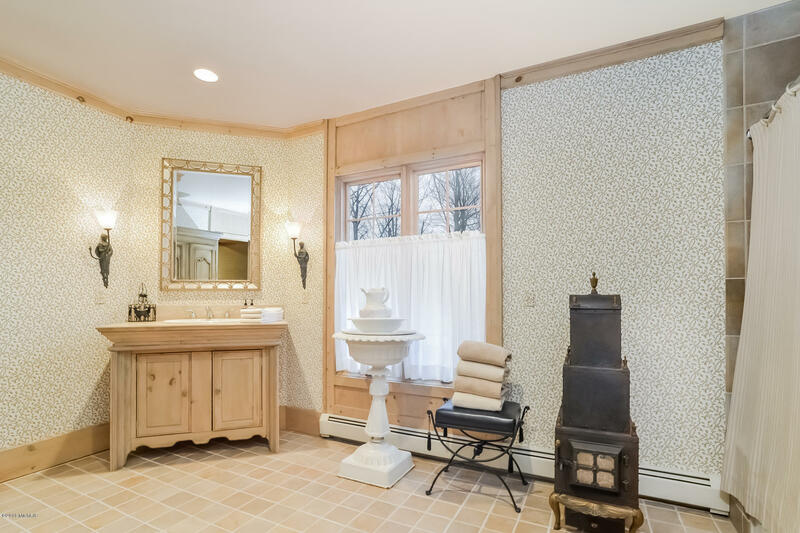 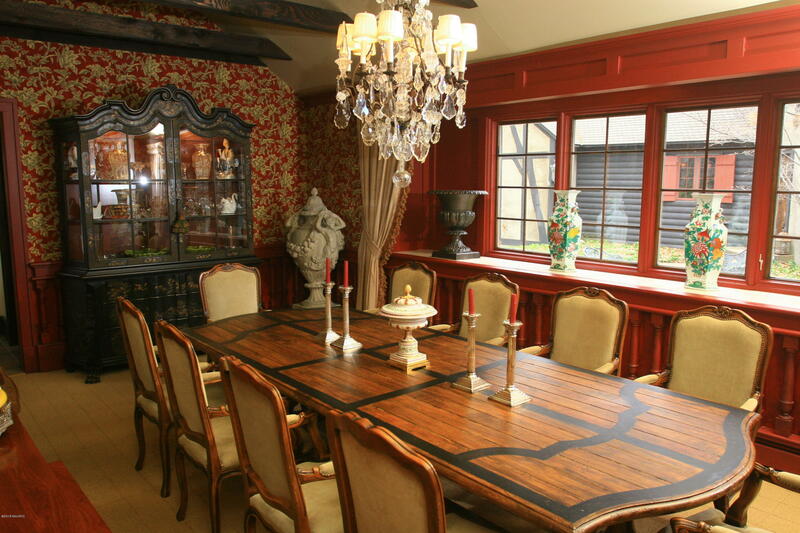 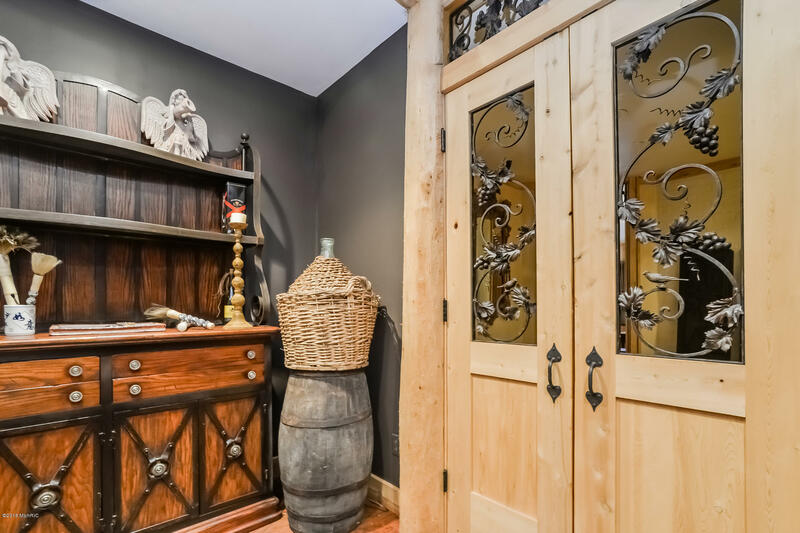 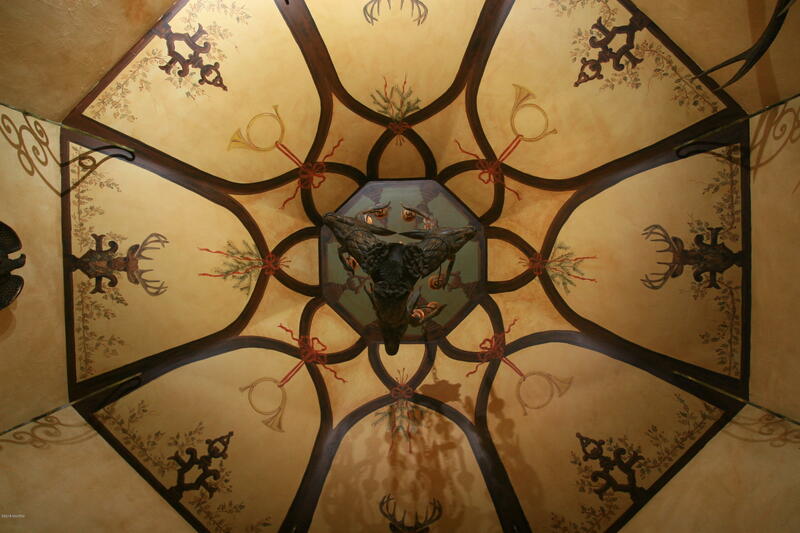 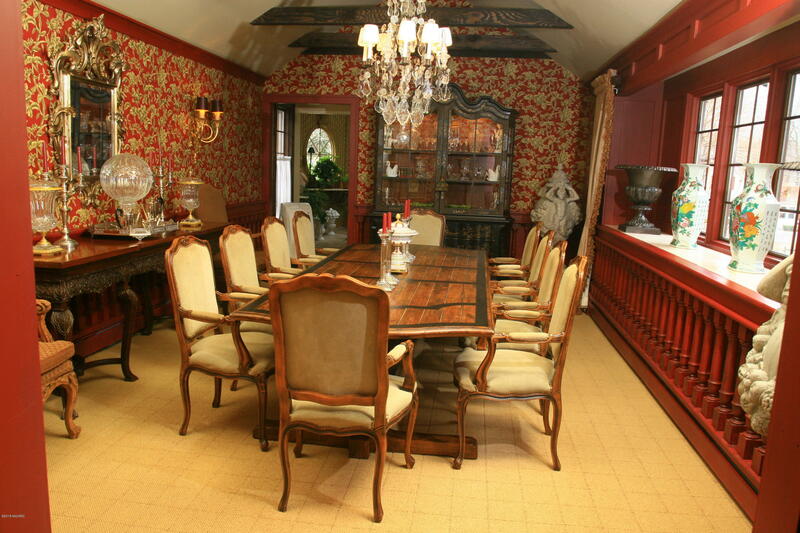 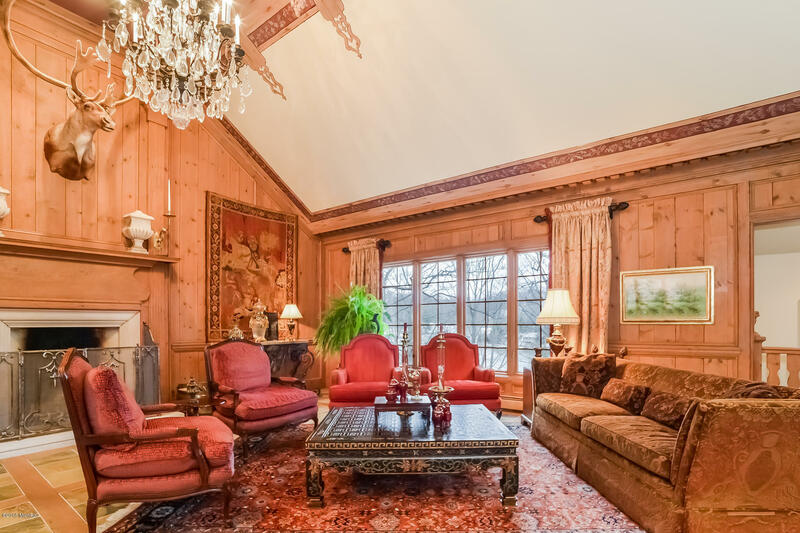 Two massive wood burning fireplaces, hand painted ceilings, loads of custom built-ins, iron work, and custom woodwork. 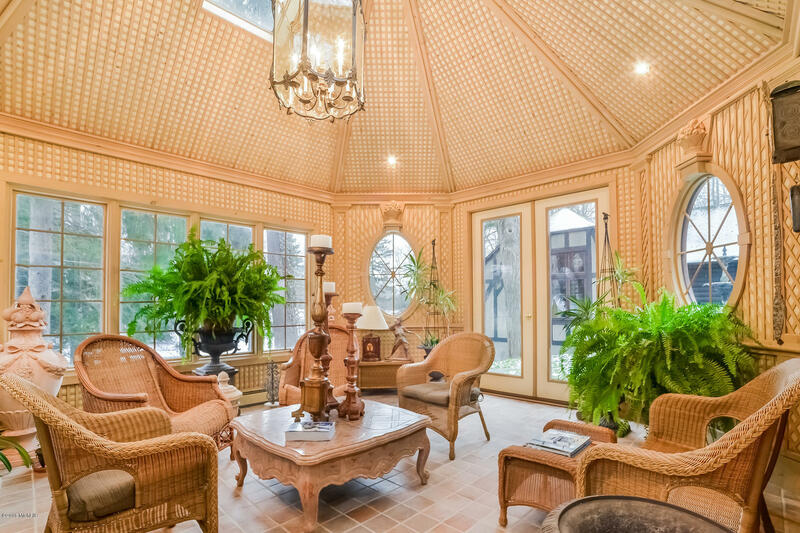 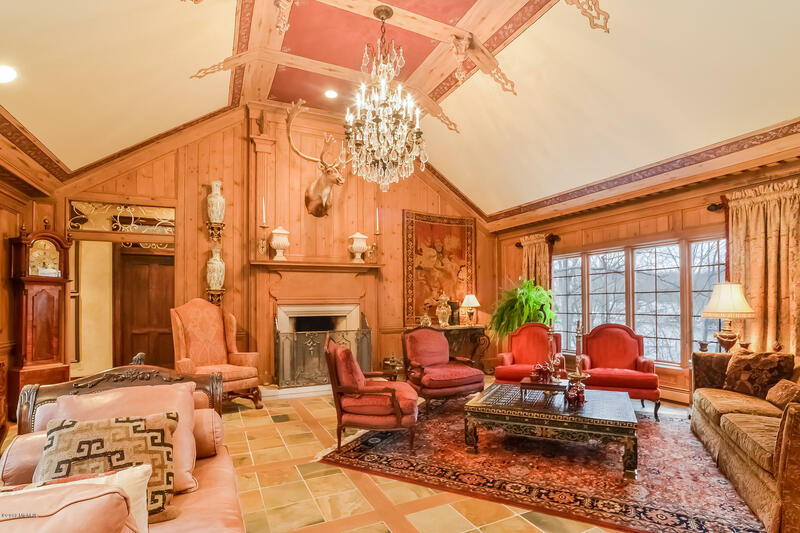 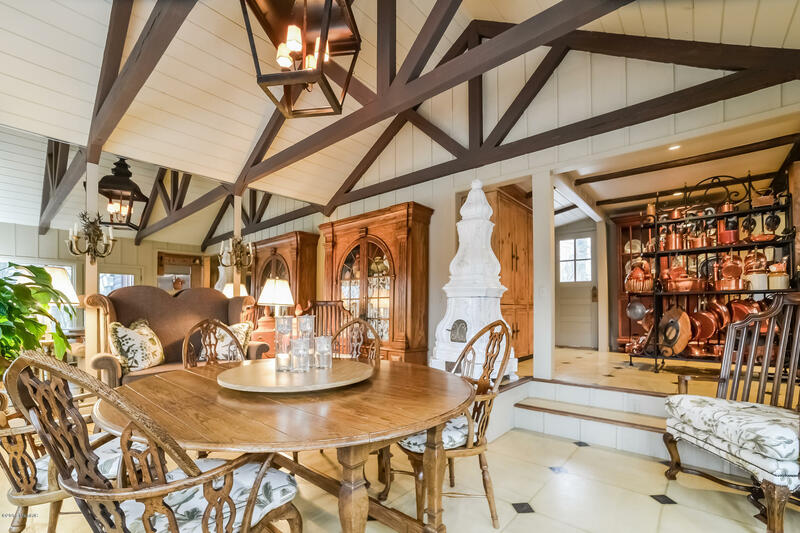 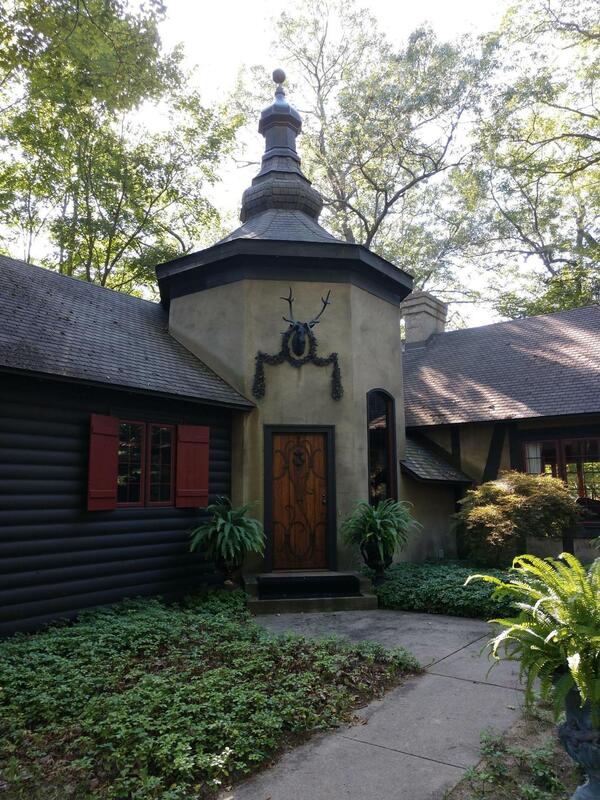 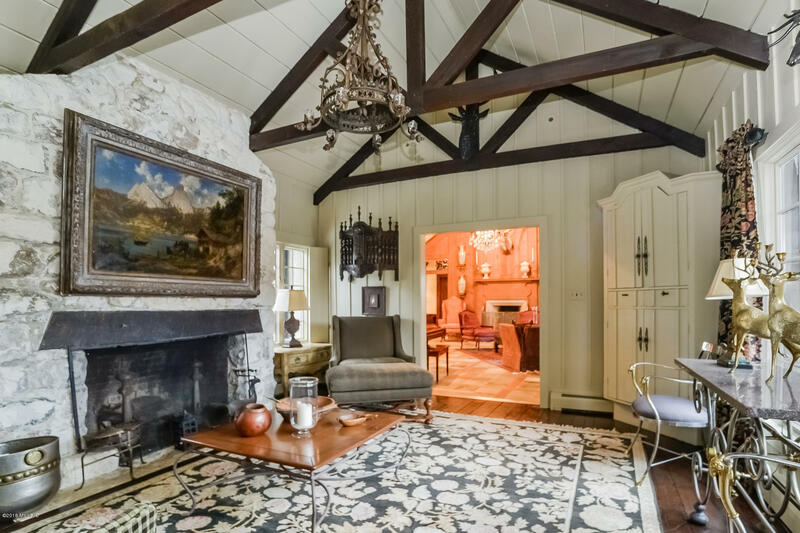 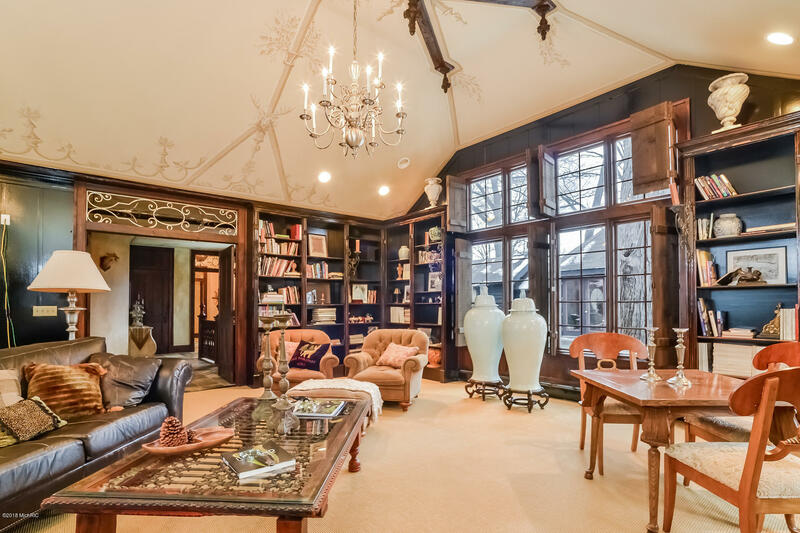 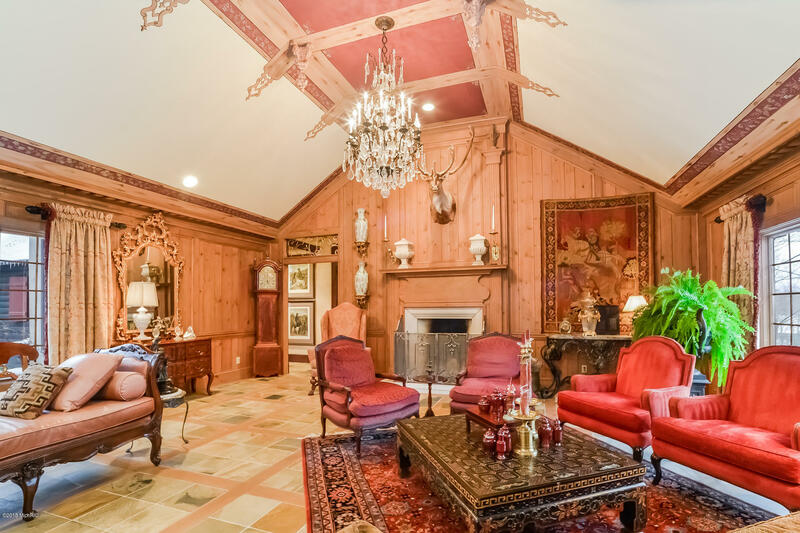 This Bavarian style lodge-themed estate with app. 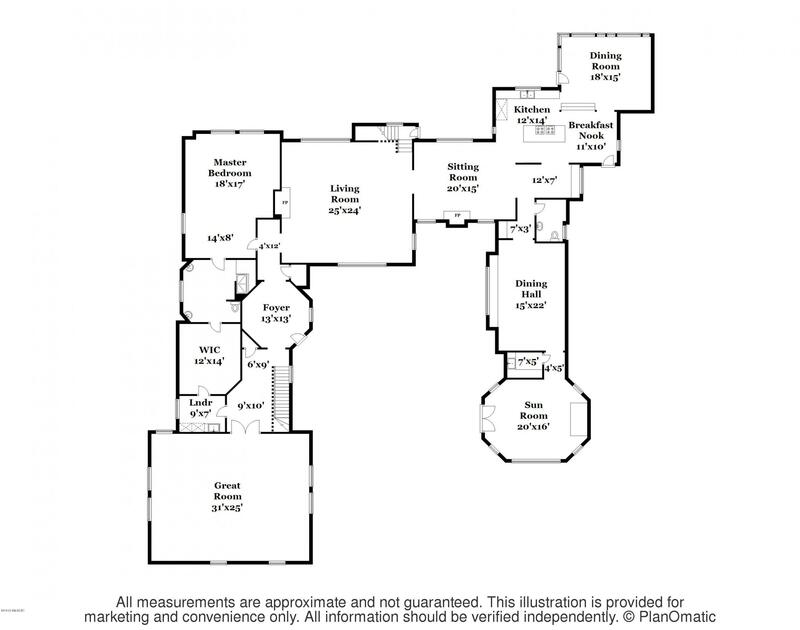 7000 sq. 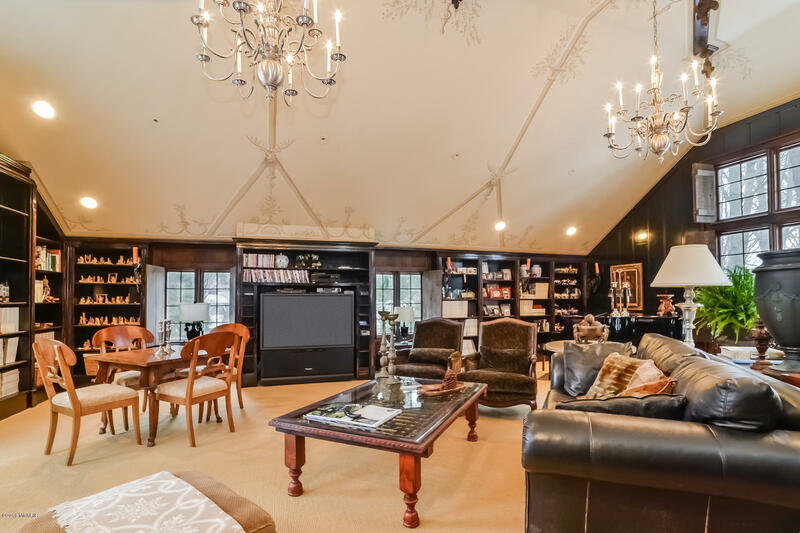 Ft. of finished living space also boasts multiple outdoor areas with fountains, decks, a gazebo, and a flag stone patio overlooking the river, with the unspoiled Ox-Bow property beyond! 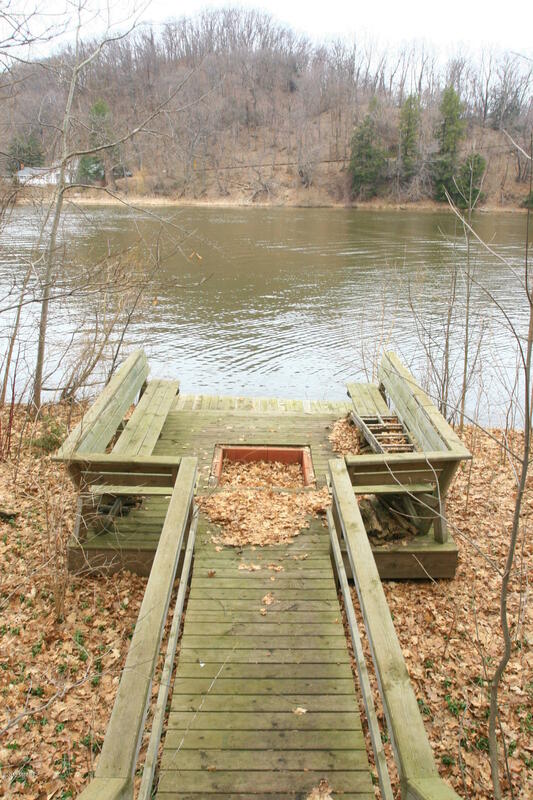 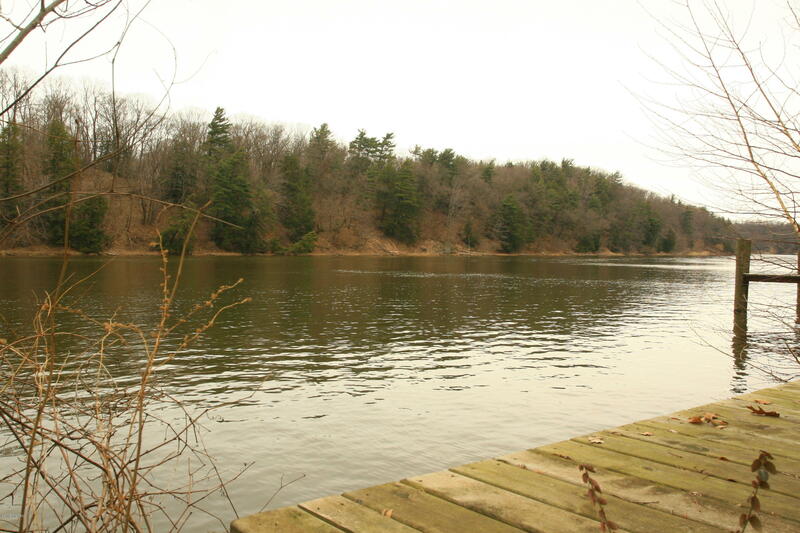 overking the Kalamazoo river, with the unspoiled Ox-Bow property beyond! 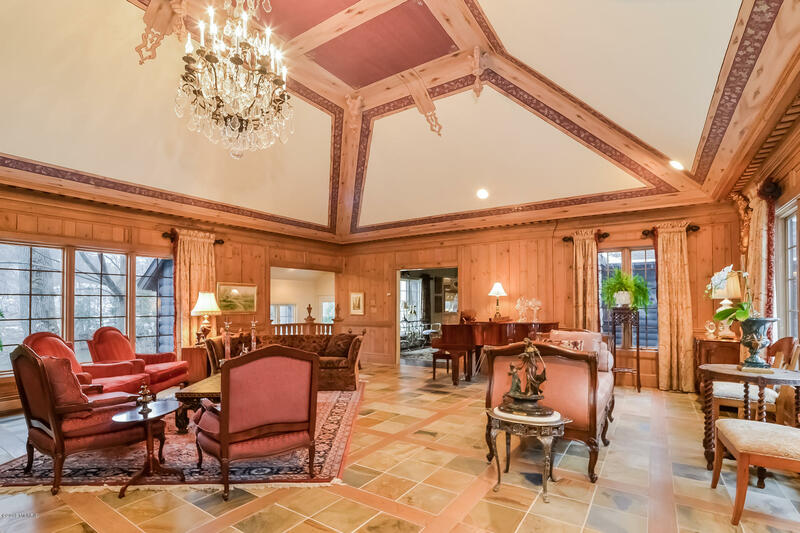 Upon viewing this truly magnificent estate, you will come to realize that it offers so much more than words can describe!